Last month, the NFL announced its plan to fine teams if their players kneel in protest during the National Anthem. Sparked by incidents of police violence and brutality towards people of color, mainly black men, this movement started in the fall of 2016 with then San Francisco 49-er Colin Kaepernick. 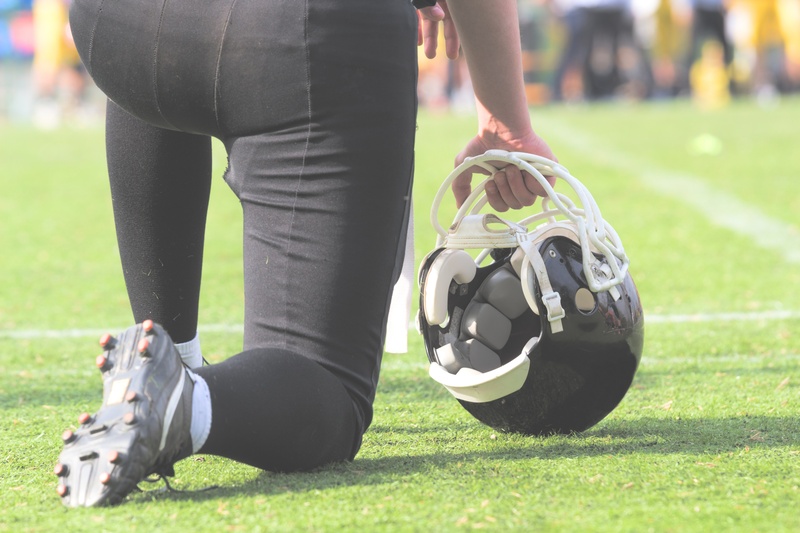 As kneeling has gained momentum in the year and a half since, it has thrust sports and politics into the line of fire, distracting from the protest's original intent: to bring awareness to the everyday racial injustices people of color face in the United States—particularly police brutality. This also comes amidst the backdrop of multiple incidents over the last two months where African American people have been the subject of 911 calls just for going about their daily lives. In April, two black men were arrested in Starbucks for "trespassing." In response, the coffee chain shut down its stores last week for racial bias training. Earlier in May, a woman called the police on a black Yale University graduate student for napping in one of the school's common areas. Also in May, three black people were confronted by police as they left their rented Airbnb with luggage. Someone called the police on them, assuming they were robbers. While police brutality against black men has been one of the ultimate manifestations of racial injustice today, these everyday incidents only reinforce the very essence of what NFL players are protesting. Now, the new ruling by the NFL raises questions of racial repression and freedom of speech, including the right to protest. Dr. Chad Williams, Associate Professor of African and Afro-American Studies at Brandeis University, recently wrote about this news and the historical context of African Americans protesting racial injustice. Dr. Williams is also a member of Facing History's Board of Scholars, a robust group of experts in the topics and themes that are close to the organization's mission. They contribute to our mission and support our work by helping to ensure the quality of the organization’s educational resources and programming and by serving as advocates, strategic advisors, project advisors, thought partners, and speakers. Read Dr. Williams’ full piece here. Use our lesson, "Taking a Stand: Models of Civic Participation," to engage your students in an analysis of historical and contemporary examples of active participation and to consider their own strategies for participating in society.